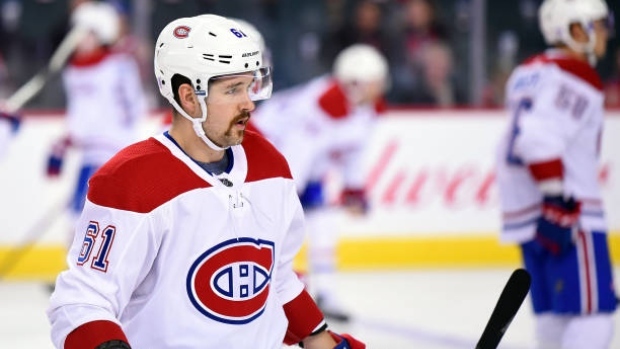 The Montreal Canadiens placed defenceman Xavier Ouellet on waivers Friday. Ouellet, 25, has three assists in 19 games with the Canadiens this season and last dressed on Nov. 21. The 25-year-old signed with the Canadiens in July on a one-year, $700,000 contract. The move clears a roster spot for defenceman Noah Juulsen, who has been out since Nov. 19 due to a facial fracture. The team announced Wednesday Juulsen would join them on their three-game road trip, which began Thursday in Ottawa. Juulsen, 21, has one goal and five points with a plus-3 rating in 17 games this season.